Oh, boy. What a week! Sickness struck me over the weekend and I went down. Way down. I’m back to the land of the living, but still in that phase where I’m not sick enough to need constant rest but still not well enough to function normally. Should be an awesome weekend? If you are somewhere in that sick phase, or coming out of it, or going into it, or you might get sick at some point, I thought I would share some of what my husband calls my “voodoo” with you. As if referring to it as voodoo wasn’t enough, I’ll go ahead and disclaim this: I’m not a doctor. This is not medical advice, but rather voodoo/wives’ tale advice. I’m just a person who has been sick a lot and likes to think she has tips and tricks that help her through it. Also, I’m including some links for products I use, but I am not affiliated with those sites. –Get on the Vitamin/Liquids Train: I learned this from my mom. In my experience, it helps shorten the duration of a cold and may even keep you from falling victim. Whatever cold-fighting super-power you believe in– Vitamin C, zinc, echinacea– take it as soon as you start to feel sick. Also drink a cup of tea or water. Then, in an hour, do it again. Repeat every hour until you are asleep and resume when you wake up. Do it at least a day longer than you feel you need to (I often forget about that part). When I was sick this week I used tv episodes on Netflix as my “timer” (so about every 45 minutes) and the pattern looked like this: boil water for tea, drink a packet of Emergen-C with GSE in it, apply tea tree and/or frankincense essential oils to throat & neck, make tea, head back to bed for a new episode. Sometimes I will add in other vitamins or weird remedies I read about on Pinterest, like this garlic/honey/cayenne mixture. 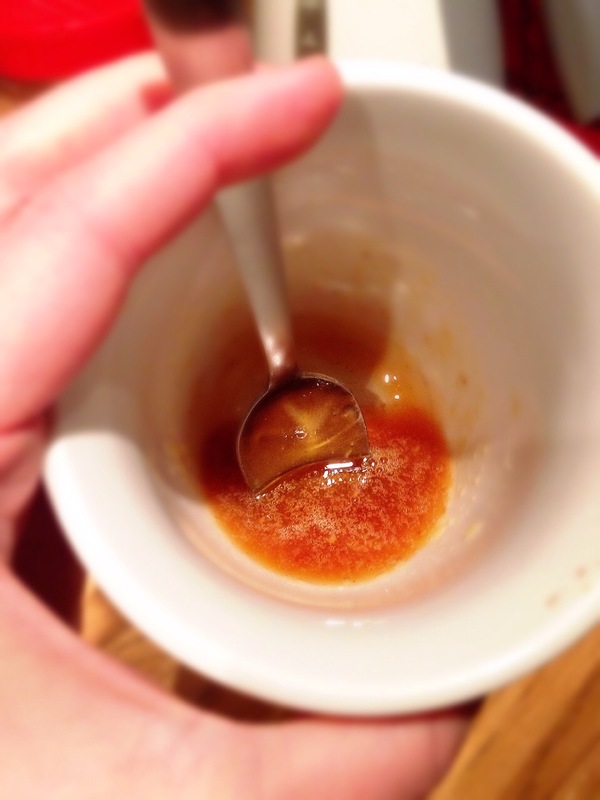 If making one serving, use a dollop of honey that at least covers the bottom of your mug, like a heaping tablespoon. Add the ginger; if it’s fresh use a teaspoon or so, and if it’s dry then just a couple of shakes. Add the lemon juice; for fresh I would suggest half a lemon, and if using the refrigerated stuff maybe a teaspoon. Add hot water, stir, and drink it as a tea. If you’re making a big batch (which I like to do), just increase the quantities but keep the proportions about the same. Put it in a glass jar, mix well, and refrigerate if you like. I’ve not had problems with leaving it at room temperature. It’s nice to have goop on the ready for emergencies. Adjust the proportions or ingredients to suit your taste. Mine is a little different each time I make it. –Cold Sock Treatment: This is my most-pinned pin ever. Proof that when you’re sick you will do anything for relief. When you click through, scroll about halfway down the page for instructions and follow exactly. I have a really hard time going to sleep when I’m sick because I hate and dread the discomfort of it all– sinus pressure changing as you turn, feeling like you can’t breathe, dry mouth, cough, etc. etc. But this seemed to diminish my symptoms temporarily so I could get to sleep more comfortably. It’s weird and uncomfortable when you’re doing it, but once you get into bed you should feel some relief pretty quickly. So there you have it– just a few tricks from my natural medicine cabinet. I hope you don’t need them right now! But pin them, because someday you’re gonna catch yourself a bug. 😦 I’ve heard that this latest bug going around comes with a lingering chest cough– how lovely– so I’m going to try some new tricks to beat that and will let you know if I find a winner.